Chevrolet Sonic Stripes, Vinyl Graphics, Hood Decals, and Body Striping Kits. Have a plain Chevy Sonic that could use vinyl graphics, stripes, and decals? 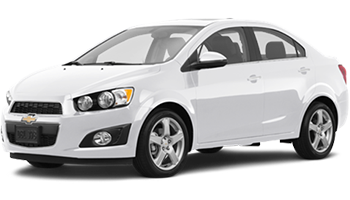 Below you'll find a wide variety of Chevrolet Sonic vinyl graphics for the model years indicated, to spice up your ride. Featured below here at MoProAuto you will find the BOOM : Chevy Sonic Vinyl Graphics Decals Stripes Kit, the FLARE : Chevy Sonic Vinyl Graphics Decals Stripes Kit, the SWEEP : Chevy Sonic Vinyl Graphics Decals Stripes Kit, the Chevy Sonic : Blast Side Stripes Kit, the Chevy Sonic : Checkout Hood and Roof Stripes Kit, the Chevy Sonic : Hatch Racer Vinyl Striping Kit, the Chevy Sonic : Hatch Rally Vinyl Striping Kit, and many more classic vinyl graphic designs! Choose one of these popular vinyl decal styles today!